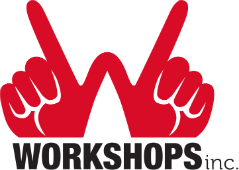 Workshops, Inc. : What We Do : Come Inside Workshops, Inc. If a picture is worth a thousand words, we think a video is worth a million. Enjoy meeting some of the faces of Workshops, Inc.